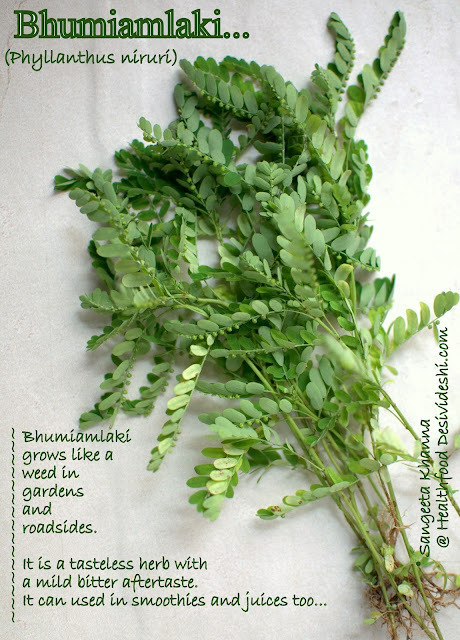 This common garden weed called as Bhumiamplaki in Hindi (Phyllanthus niruri) or Chanca piedra has immense medicinal properties and is a very potent liver tonic. 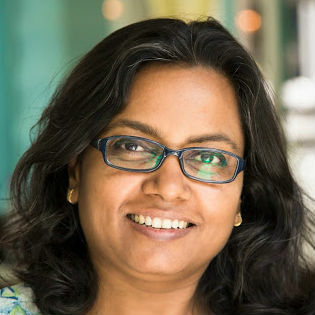 It helps prevent stone formation in kidneys too (source) and is actually beneficial in many more conditions (read more). I have myself seen it being used to heal the liver after jaundice in my family, fresh herb liquidized with water is given to the patient everyday for a week or so and one notices a difference. Since this herb bhumiamlaki grows profusely in the garden I sometimes pluck and add it to my smoothies. It is the most easy thing to do as the herb doesn't need any preparation before being added to smoothies or juices. This is the season of grapefruits (pomelo) too and the generous tree in my garden is weighed down by several of those heavy citrus fruits. 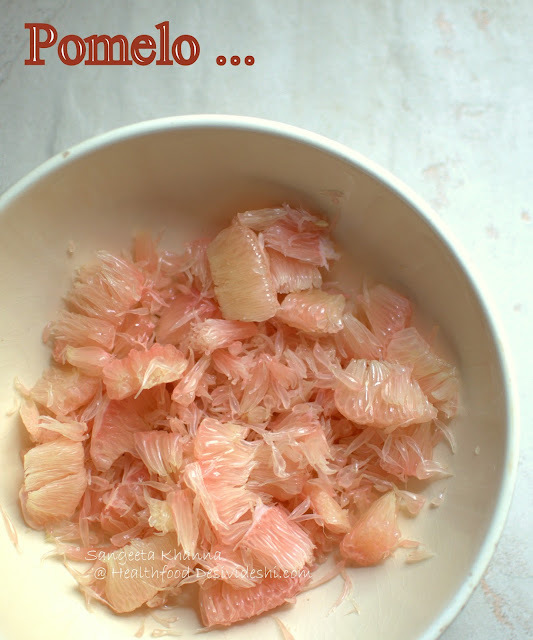 See the article I wrote for Down to Earth about pomelo and how it is used across the country. I use them a lot in my salads and smoothies. 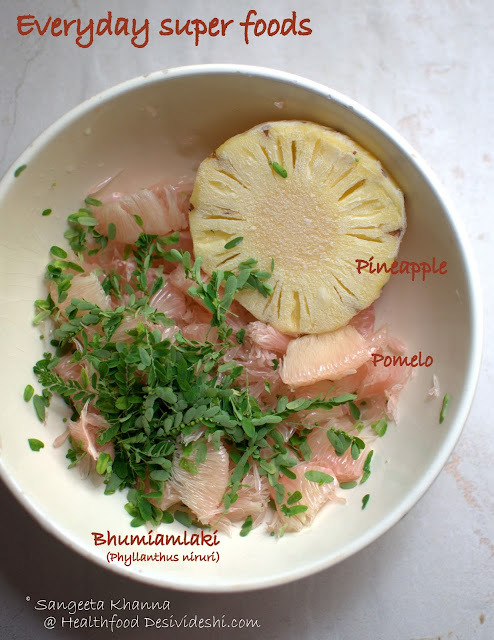 Some slices of pineapple are always there in my freezer and come handy when making smoothies or the pineapple soup that I love so much. Blend to make a smoothie. 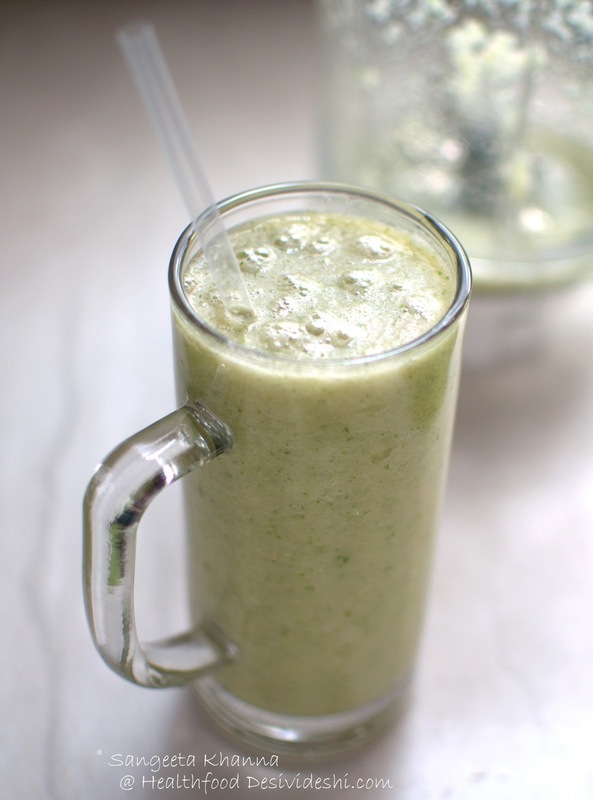 There will be a mild bitter aftertaste in this smoothie but this is one of those smoothies that work wonderfully to detoxify the system. Make this smoothie with orange or sweet lime if you don't get pomelo, some citrus fruit makes this smoothie much more enjoyable. 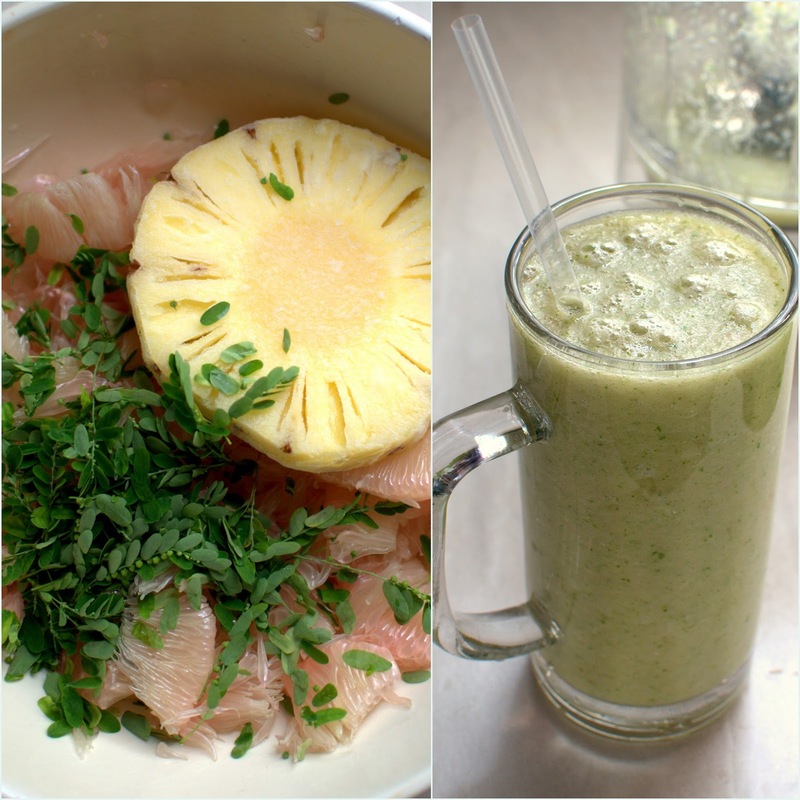 And see how just three ingredients make this smoothie a perfect recipe to detox. You can add a little ginger too if you have been experiencing DOMS after heavy workouts. Get the fruits prepared and frozen if you want the smoothie ready quickly. Or just enjoy playing with ingredients before you blend your smoothie. It is great any which way. This smoothie may taste a little bitter if the pomelo has a slight bitterness too, Bhumiamlaki has slight bitterness too so the combined effect may make this smoothie taste slightly bitter. Add more pineapple in such a case and the smoothie will still be great.